Consumers Union, the policy and mobilization arm of Consumer Reports, welcomes the opportunity to submit written comments on the proposals and discussion documents for the spring 2017 meeting of the National Organic Standards Board (NOSB) in Denver, Colorado. Our vision is for consumers to have access to a safe, transparent, and sustainable food system that robustly supports human and environmental health. One of our areas of focus is food labels, which should be clear, honest, and transparent. 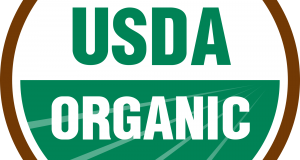 We evaluate and rate food labels, including the USDA Organic label, to empower consumers with knowledge to make better and more informed decisions when shopping for food. This information is available to consumers online at www.greenerchoices.org. Carefully review the inclusion of kymene and vinyl chloride in the list of ancillary substances for cellulose and prohibit their use. We urge the Livestock Subcommittee to start working on a proposal to prohibit the use of all antibiotics at all stages of life for poultry, to ensure that the routine of use of antibiotics is consistently prohibited in organic production. We also hope that the GMO/Materials Subcommittee will finish its work on updating excluded methods terminology, specifically to include the terms transposons, cisgenesis, intragenesis, and agro-infiltration as excluded methods.